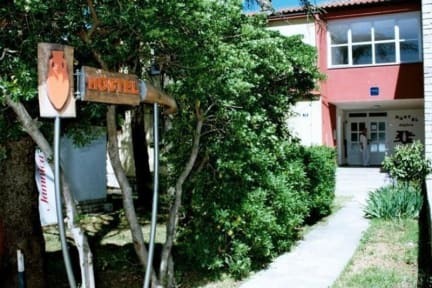 Hostel Amfora is a warm and friendly building that welcomes travellers from all over the world. We have a wealth of experience in the industry and know what travellers value and need during their stay. Guest can relax in our chill out room, complete with comfy sofas, satellite TV or catch up with friends and family over the internet. Wi-Fi access is also available throughout the property. We are also offering quick and cheap transfers from bus,train station,airport or other directions to the hostel or from the hostel. Your only obligation is to send us travel details and very soon you will be in the hostel Amfora. Hostel Amfora has six dorm types available - 1 bed, 2 bed, 3 bed, 4 bed, 8 beds and 10 beds, and can sleep a total of 66 people. The private room types available are: single, double, triple, 4 bedded,6 bedded, 8 bedded and 10 bedded room on two floors. - Single room come with a comfortable single bed. - Double room come with a comfortable double bed. - Triple rooms come with one bunk and one single bed. - 4 bedded rooms come with one bunk and one double bed. - 6 bedded rooms come with two bunk and one double bed. - 8 bedded room come with four bunk beds. - 10 bedded room come with five bunk beds. Bed sheets and linen are provided and come with reading lights and in-room sink.All rooms have air condition and free Wi-Fi. 24 hr hot showers are available on each floor separated for male and female. All necessary facilities can be found in the vicinity of hostel: bus station, grocery shops, pharmacy, post and bank office, sports facilities, a variety of galleries, restaurants, pizzerias and bakeries. Cancellation policy is 7 days in advance. We accept payment by cash&credit card. Price do not include tourist tax and registration fee. What a beautiful place! Ivan was so lovely and helpful with everything we needed, what a gem. We booked here for Outlook festival this year and it was in a perfect location. So close to the beach and shops. Will be booking again next year for sure, such a pleasure to stay here and great value for money! Ivan is absolutely the best!! He was incredibly helpful and accommodating since my bus was running late and I arrived after 11pm. He patiently waited for me to get there and we handled check-in after some much needed sleep. My stay was incredibly comfortable and satisfying as well! Also with the beach being about a 2 minute walk, the location is wonderful! It was the best hostel in my life that I have ever stayed in. Thank you Ivan for an amazing hospitality and kindness. The hostel is very clean, it has very nice rooms. WIFI works perfect. A location is amazing. There is free parking place behind the hostel. I would recommend "Hostel Amfora" very much. Spent 30min walking around streets and car park looking for the property. It’s right in the middle of parking 😂 a small entry way just next to the petrol station ! Other than that the overall experience is wonderful. Washing basin in the bedroom is very convenient. Public room and toilets are sparkling clean ! The host is very warm hearted and helpful ! Great value for money ! Super clean and a very friendly and helpful host. Would stay here again, in fact I did stay again towards the end of my stay in Pula. The owner is great. The little village is also great, especially if you want peace, and the stores are near. Everything is just great. When we got lost on our way there, they upgraded our room for free! Super nice people with a great location. You won’t meet too many other travelers though. We loved our stay here. The location is perfect if you want beach and harbour vibes, it's about 15 mins from Pula and easily accessible by bus or taxi. The host was the highlight of this hostel for us. He was so friendly and helpful during our whole stay and made us feel very welcome. He went out of his way to help with planning the next leg of our trip and he put a lot of time and effort into making sure his hostel was clean and accommodating. Be aware reception closed 11-3, so nowhere to leave bags. Still no one there at 3.20 so i called and then the cleaning lady locked them away. The check in guy wasn't friendly, no offer of help taking bags upstairs (i can handle it, but it's usual to offer, male or female). Saw the washing up sponge being used to clean the bin by the woman cleaning the kitchen angrily. It was during Outlook, that could explain all the attitude, but it's where they make most of their money, they should handle it.